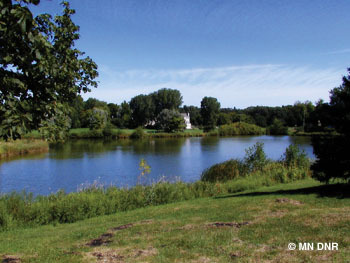 Comments: Lamplighter Pond is a wonderful place to try fishing in the summer and fall. Native shoreline vegetation has been restored providing healthier habitats for fish and wildlife. Besides annually stocked Bluegills and Black Crappies, anglers can expect to catch Common Carp from the fishing pier located on the west shore.